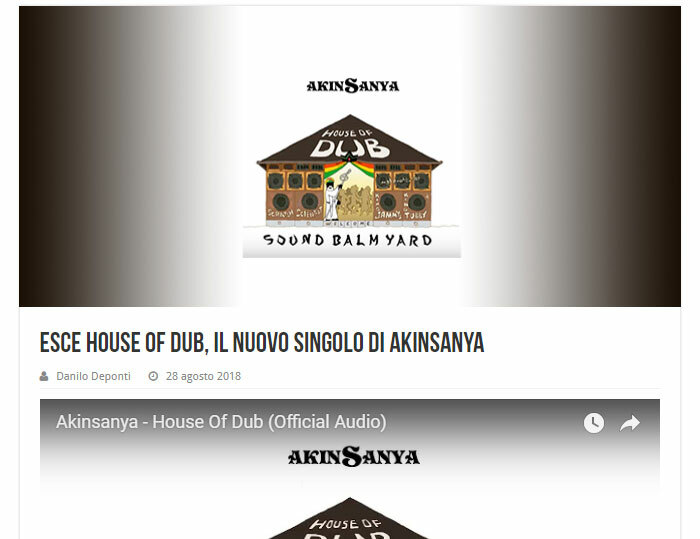 Eventi Reggae posted article for "Akinsanya - House Of Dub". 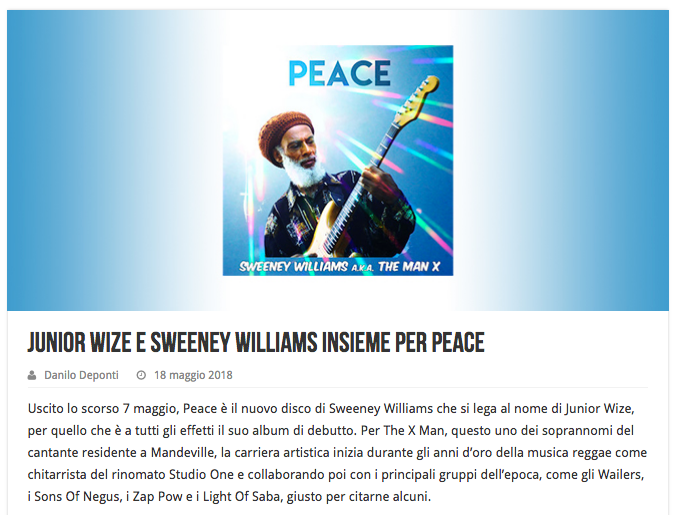 Sweeney Williams “Peace” got great review! 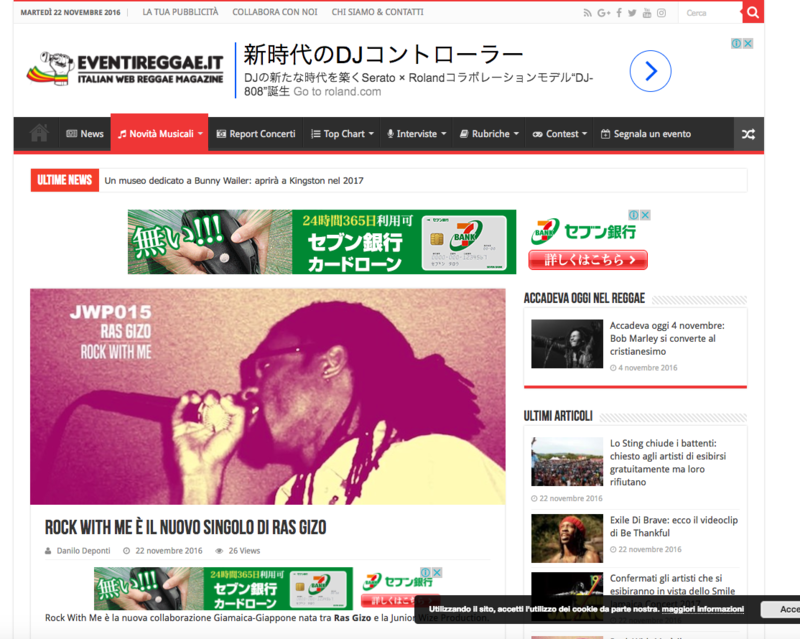 Eventi Reggae posted an article for Sweeney Williams “People Of The World”. Wonderful article posted by Reggae Roots Review. 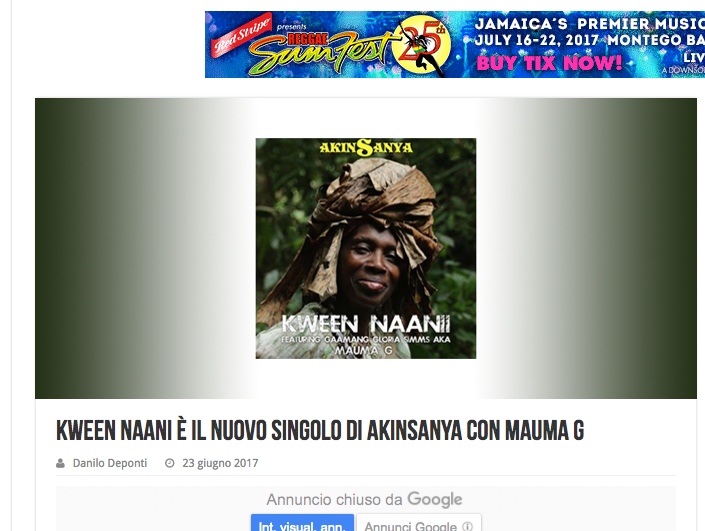 “Eventi Reggae” reviewed for “Kween Naanii”. 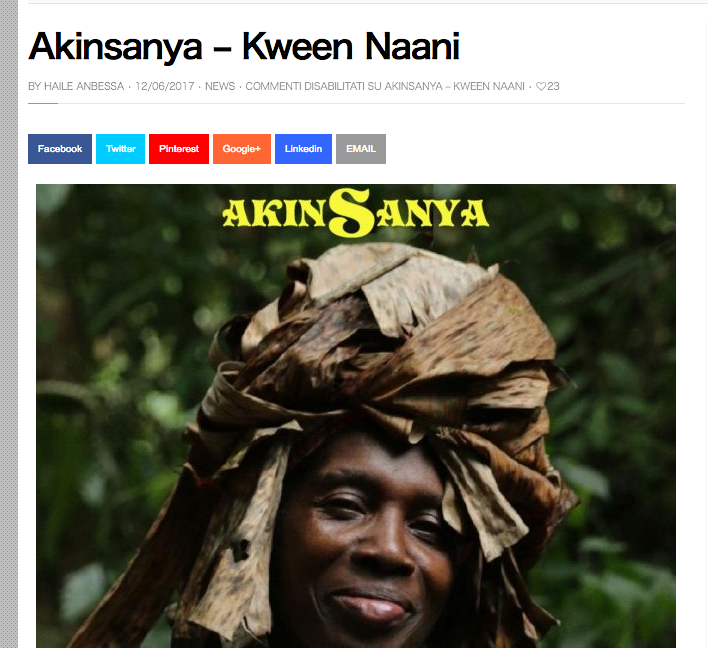 “Hot MC” reviewed for “Akinsanya - Kween Naanii (feat. Mauma G)”. “Hot MC” reviewed for “Akinsanya - Dub Trafficka” EP. 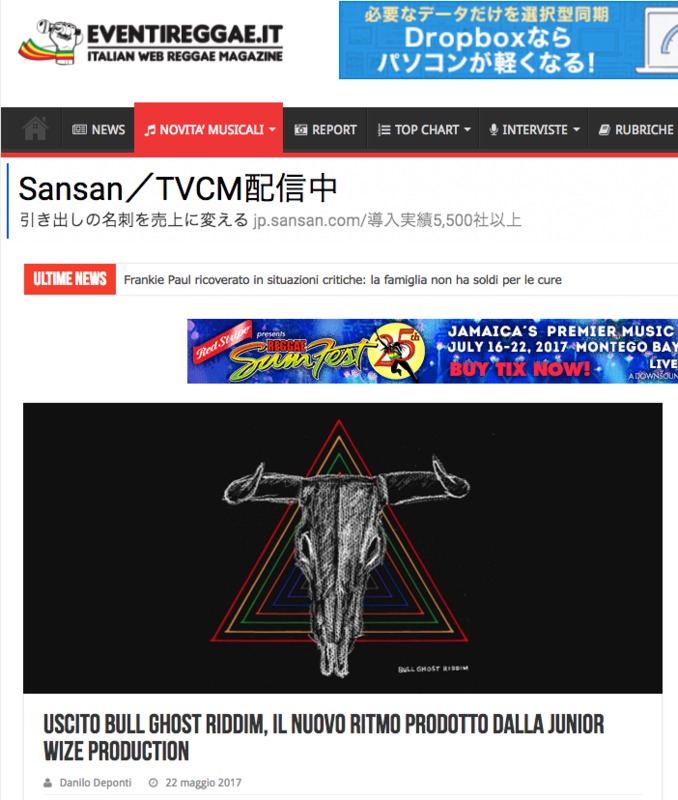 Eventireggae reviewed for “Bull Ghost Riddim EP“! 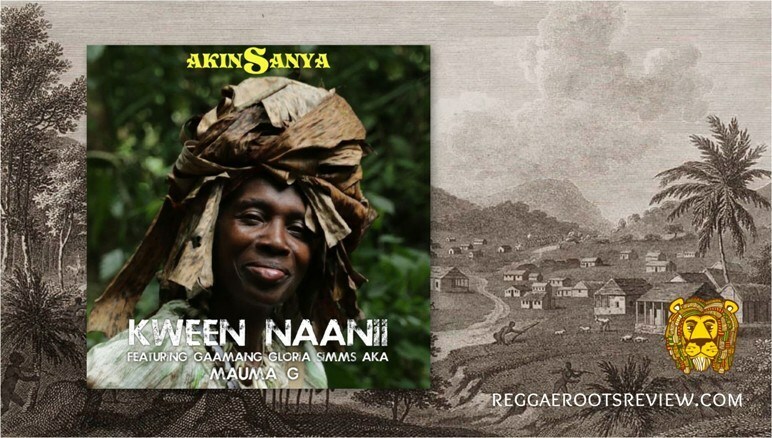 Eventireggae.it posted about “AKINSANYA - INCIENT CHANT”. 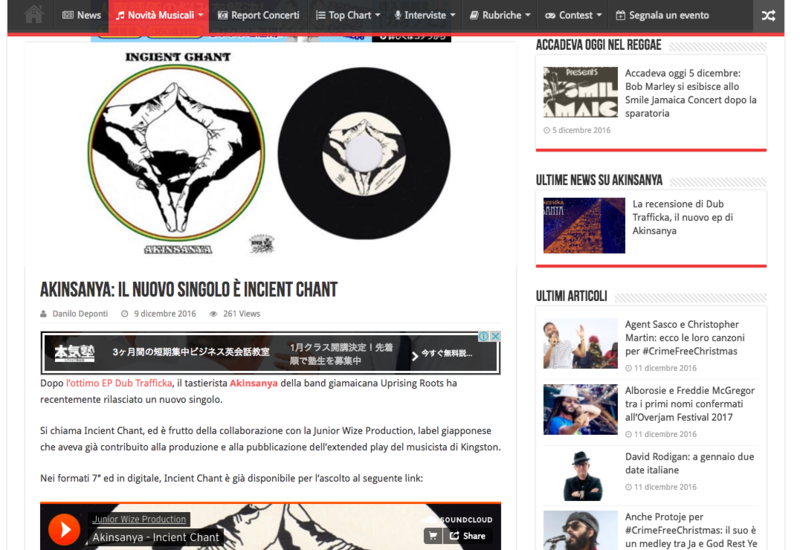 Italian web reggae magazine eventireggae.it posted about our new release “Akinsanya – Incient Chant”. LInk is below. 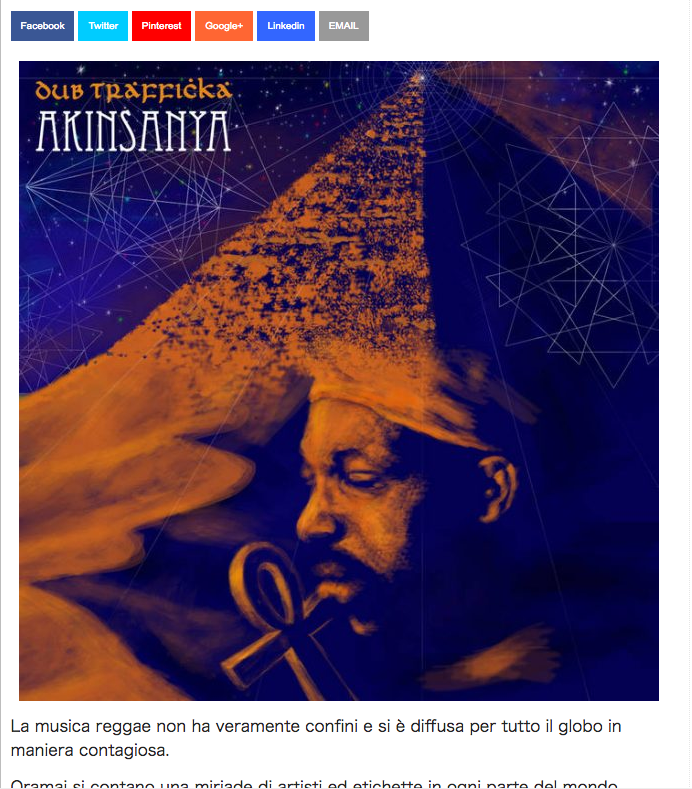 http://www.eventireggae.it/36364/akinsanya-il-nuovo-singolo-e-incient-chant/ Much thanks Danilo and all eventireggae.it crew! Eventireggae.it posted the release information of "Rock With Me".